This song with Andrea Bocelli is… how was it we used to say? Spinning on my turntable? Well, nowadays it´s the CD that is spinning, or the invisible bytes in the MP3-player. Anyway, this is what I am listening to this moment. 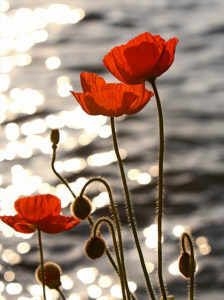 Two things: how nice to liken someone you prize or love to a poppy. As the Andrea, I will have much more to say about what I´ve learned from him. Amapola, my pretty little poppy.